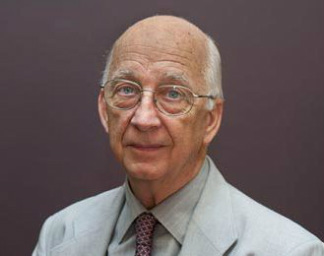 A. Peter Campbell returned to Australia from 22 years in the US in late 2000. His recent resume includes work on a three year contract (2004-07) for CSIRO Complex Systems Science Initiative to introduce complex system simulation tools for agricultural landscape planning and critical infrastructure analysis. 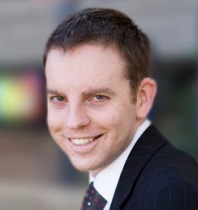 In May 2004, he joined the Systems Engineering and Evaluation Centre (SEEC) at the University of South Australia as Professor of Systems Modeling and Simulation, working on the application of complex adaptive system simulation technology to large scale system integration projects at UniSA. Dr. Campbell has assisted in the formation of the Defense and Systems Institute (DASI) and has the responsibility for business development of modeling and simulation, particularly in the defense area. In October 2010 he joined University of Wollongong as Professor of Infrastructure Modeling in the SMART Infrastructure Facility. His current work is in the area of the application of ABM and MBSE to the improvement of the management of large infrastructure development projects. Australia is one of the most urbanised countries in the world and there appears to be a strong trend for this to continue, with both Sydney and Melbourne expected to have populations over 7 million by 2050, with similar proportional gains in other major centres. To maintain or improve Australia’s international competitiveness and quality of life will require a huge investment in infrastructure provision which must be done efficiently and with full recognition of the interdependencies that exist between the different systems that will be needed. There is growing recognition that interdependencies exist between all infrastructure systems and that siloed development is no longer possible, let alone efficient or sensible. The SMART Infrastructure group has built an ABM to help planners and other decision makers consider the options for providing improved transportation services to SE suburban Sydney where there is an expected population increase of about 70% over the next 25 years. This presentation will describe the approach taken to the modeling, the design of the model and some early results. Our society and our industry face an unprecedented list of challenges. Because of our economy, we need to work more efficiently. The public wants greater accountability in how we spend their money. We need to find ways to make our roads safer. And we have an obligation to help preserve our planet for future generations. But it's not enough to simply address those challenges. We need to do it with a new sense of urgency. Every Day Counts is a program supported by the Federal Highway Administration designed to identify and deploy innovation aimed at shortening project delivery, enhancing the safety of our roadways, and protecting the environment. The theme of this seminar is to understand a significant transportation materials-related sustainable aspect: noise and in particular, tire / pavement noise, which is one of the myriad outcomes of the rapidly urbanizing society. Roadway noise is a growing problem in the urban areas, especially, in the vicinity of the highways and arterial roads. More so, a significant increase in traffic volume has continually been adding more noise pollution. Various studies have indicated that tire / pavement interaction noise contributes significantly to the overall roadway noise. A multitude of factors have been regarded as being influential of tire / road noise generation and propagation such as pavement material type and property, friction, etc. However, understanding the scientific elements of pavement materials’ noise-generating parameters needs a huge amount of research development. The science behind the noise generation in the pavement materials would be discussed briefly in the presentation. Furthermore, the brief talk will also include dissemination of the current and ongoing research in the tire / pavement noise areas from a scientific perspective. 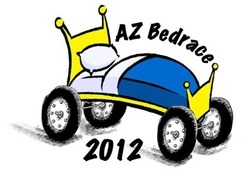 ASU ITE is competing in this year's Arizona Bed Races Charity Event. The event supports Bridging AZ, an organization that upholds a furniture bank for needy families. 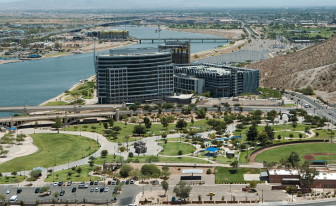 Founded in 2004, Bridging AZ is the first and only Furniture Bank in Arizona. A non-profit organization that provides families in need with the furniture and household items necessary to create a safe, comfortable and healthy home environment. In the past 2 years Bridging AZ distributed over 100,000 items of furniture and housewares through social service caseworkers. Bridging has also furnished over 800 homes for the families living in our community. With just 3 fulltime paid employees Bridging supports over 100 social service agencies. It's a great cause and ASU ITE is so glad that we are supporting this group! Our team was able to raise $645. A special thanks goes out to all who donated and who were part of our running team. Seminar by Kimberly Carroll, P.S. PTOE, Principal Traffic Engineer, Stanley Consultants, Inc.
A Day in the Life of a Transportation Engineer: What is a transportation engineer and why are they necessary in today’s world? Kim graduated from the University of Arizona with a BS in Civil Engineering. She is a registered professional engineer in Arizona, Utah, and Minnesota. She is certified through ITE as a Professional Traffic Operations Engineer (PTOE). She is past president for the Arizona ITE Section and currently serves as the local arrangements committee chair for the Western District ITE Conference to be held in Phoenix, Arizona in 2013. For some of us, the job of a transportation engineer remains a mystery. What do they actually do? Kim Carrol of Stanley Consultant Group will be presenting on what it means to be a transportation engineer. Ms. Carroll is a Principal Traffic Engineer with Stanley Consultants. She has 19 years of experience in transportation and traffic engineering studies and design. Her design experience includes roadway and intersection improvement design; traffic signal and interconnect design; signing and striping design; construction staging; work zone traffic control; and construction plan/bid documentation for municipal, county and state projects. Her study experience includes traffic impact, safety, access control and management, intersection capacity studies, warrant studies, and operational studies. Her responsibilities as principal traffic engineer include conducting and leading technical aspects, managing projects, assisting with development of new business, and mentoring younger staff. To get the semester started, ITE is hosting a social event this week. We'll have snacks, drinks, some games, and it will be a great opportunity for you to meet and get to know your ITE officers while we meet and get to know you. Come by for the entire time or just for a few minutes to say "hi" and get some food. Let's make this a great semester! Photo courtesy of University of Wollongong. Asphalt pavements have been primarily designed to resist rutting of the subgrade and bottom-up fatigue cracking. In classical pavement design, as design load applications increase, pavement thickness must also increase. There is a growing belief that for thick pavements bottom up fatigue cracking does not occur. The concept of endurance limit assumes that there is a strain level below which no fatigue damage occurs. This strain level is referred to as the endurance limit. Therefore, additional pavement thickness greater than that required to keeping strains below the endurance limit would not provide additional “service life.” This concept has significant design and economic implications. The endurance limit has been observed in laboratory studies of fatigue at low strain levels for conventional hot mix asphalt (HMA), and several documented cases indicated that bottom-up fatigue cracking is almost non-existent in properly constructed, thick asphalt concrete pavements. Current design methods of flexible pavement assume that a cumulative damage occurs where each load cycle uses up a portion of the finite fatigue life of the HMA. The current NCHRP 9-44A project implements the concept suggested by the previous NCHRP 9-44 project. Also, the project validates the endurance limit concept, and devises effective methods for incorporating it in mechanistic-empirical pavement design methods. This was performed by carrying out laboratory experiments to identify the mixture and pavement layer design features related to endurance limit for bottom-initiated fatigue cracking. This was followed by developing an integrated predictive model for crack healing and endurance limit for improving the sustainability of flexible pavements. 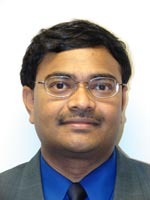 Seminar by Dr. Srinivas Peeta, Ph.D.
As intelligent transportation systems (ITS) approach the realm of widespread deployment, there is an increasing need to robustly capture the variability of link travel time in real-time to generate reliable predictions of real-time traffic conditions. This study proposes an adaptive information fusion model to predict the short-term link travel time distribution by iteratively combining past information on link travel time on the current day with the real-time link travel time information available at discrete time points. The past link travel time information is represented as a discrete distribution. The real-time link travel time is represented as a range, and is characterized using information quality in terms of information accuracy and time delay. A nonlinear programming formulation is used to specify the adaptive information fusion model to update the short-term link travel time distribution by focusing on information quality. The model adapts good information by weighing it higher while shielding the effects of bad information by reducing its weight. Numerical experiments suggest that the proposed model adequately represents the short-term link travel time distribution in terms of accuracy and robustness, while ensuring consistency with ambient traffic flow conditions. Further, they illustrate that the mean of a representative short-term travel time distribution is not necessarily a good tracking indicator of the actual (ground truth) time-dependent travel time on that link. Parametric sensitivity analysis illustrates that information accuracy significantly influences the model, and dominates the effects of time delay and the consistency constraint parameter. The proposed information fusion model bridges key methodological gaps in the ITS deployment context related to information fusion and the need for short-term travel time distributions.